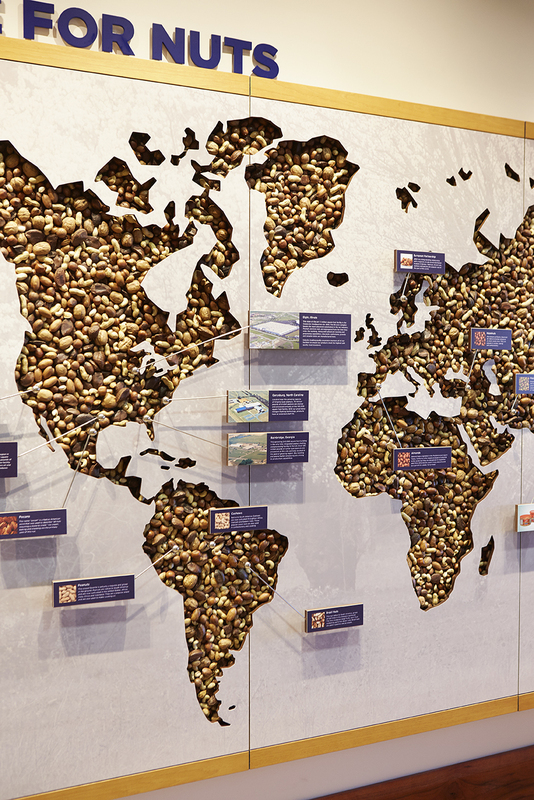 Nut Map, John B. Sanfilippo & Sons, Inc. Heritage Exhibit - Ravenswood Studio, Inc. The Ravenswood team fabricated and installed this Luci Creative designed Heritage Exhibit for John B. Sanfilippo & Sons, Inc. 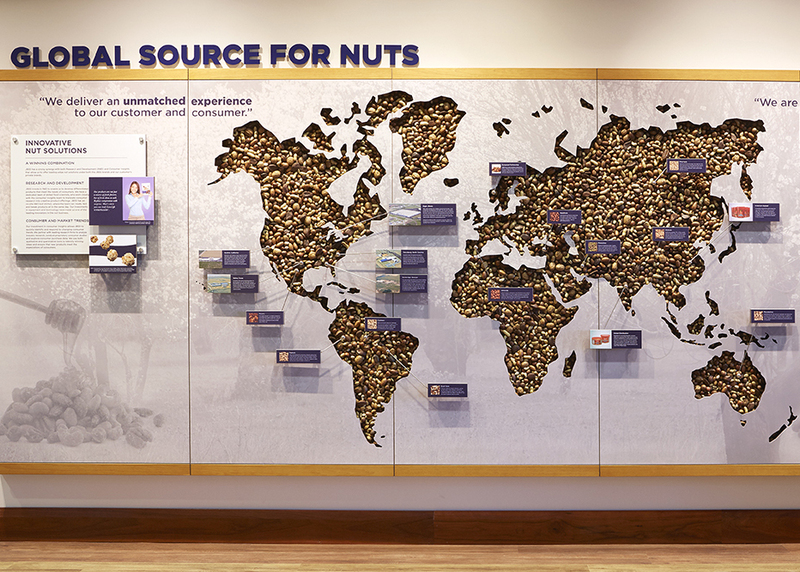 It is dedicated to exploring the story of this family-run business that is the largest provider of nuts in the United States and is active in over 70 countries throughout the world. Naturally, we used pecan wood for the credenza-like shelves that displayed photos and artifacts. 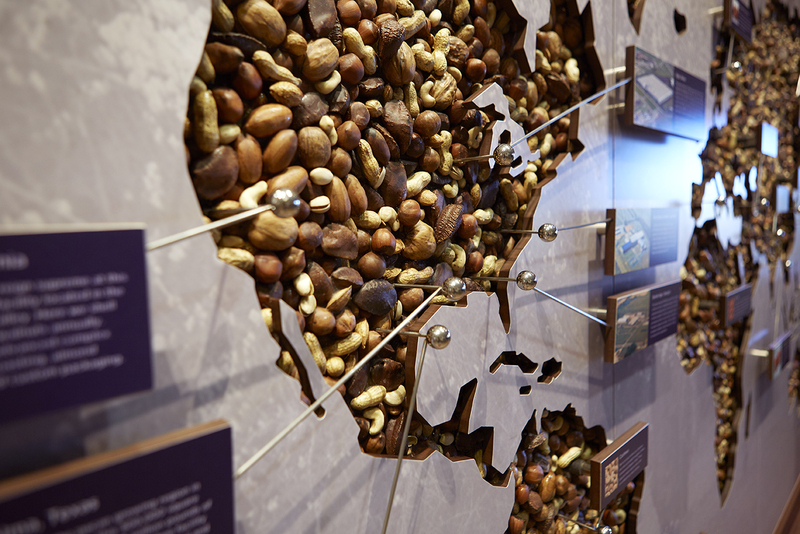 The big “Nut Map” of the world was our way to dramatically demonstrate the company’s worldwide leadership in the nut industry. 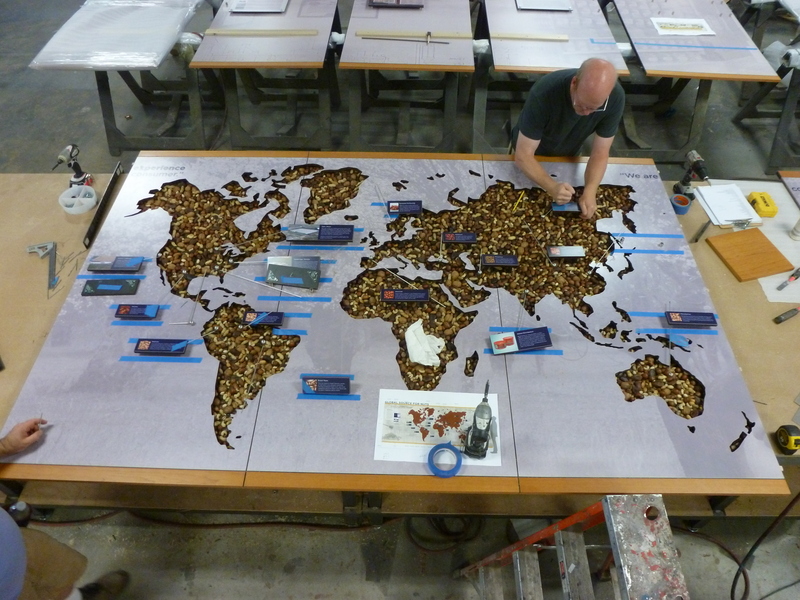 We tested several ways of creating the map before the thousands of real Sanfilippo nuts from all over the world were used to create the map you see here.